in Paneer, Side dish, Veg. This week, as a part of Kolkata Food Bloggers event, we are posting something on the theme based on "Chef's Challenge", i.e., we are featuring our favorite chef and his/her recipe on our blog. 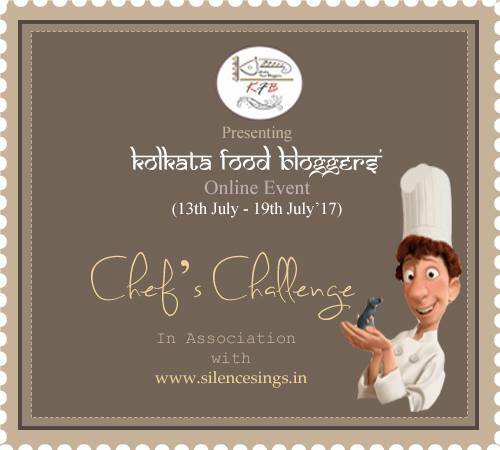 The theme is given by our fellow blogger, Kamalika Chakraborty who blogs at Silence Sings, who happened to be the founder of Kolkata Food Bloggers. She is such a creative person and an amazing photographer too. 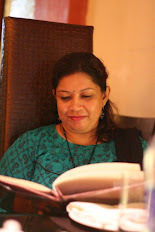 She runs a homebased bakery and always trying her best to take Kolkata Food Bloggers to a new height. As a blogger also, she posts very useful and easy-to-make recipes. Visit her blogs for some amazing food photos and recipes. "Tarla Dalal (June 1936 – 6 November 2013) was an Indian food writer, chef, cookbook author and host of cooking shows. Her first cook book, The Pleasures of Vegetarian Cooking, was published in 1974. Since then she wrote over 100 books and sold more than 3 million copies. She also ran the largest Indian food web site, and published a bi-monthly magazine, Cooking & More. Her cooking shows included The Tarla Dalal Show and Cook It Up With Tarla Dalal. Though she wrote about many cuisines and healthy cooking, she specialized in Indian cuisine, particularly Gujarati cuisine and Bengali cuisine. She was awarded the Padma Shri by Government of India in 2007, which made her the only Indian from the field of cooking to have been conferred the title. She was also awarded Women of the Year by Indian Merchants' Chamber in 2005. She died on 6 November 2013 following a heart attack. Over time, her popularity grew and she became a household name, with housewives and chefs swearing by her recipes. Tarla Dalal is credited with introducing and popularising foreign cuisines to the masses. She made vegetarian versions of a lot of non-vegetarian recipes from foreign lands. She revolutionised the cooking industry and is the most sold cookbook author in India. Her books have been translated into languages like Hindi, Gujarati, Marathi, Bengali, Dutch and Russian. She also published cooking magazines. In 2007 she started her 'Total Health Series' cookbook series." Source : Wiki. Fresh Cream : 1 tblsp. Garam Masala : 1/2 tsp. Green Chilli : 1-2 nos. 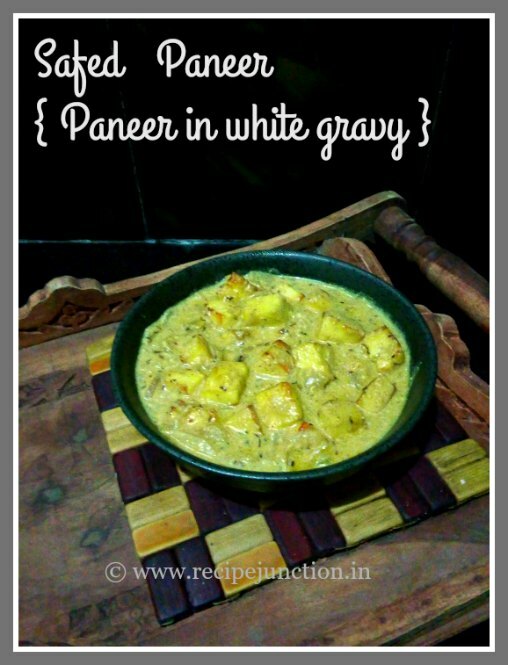 Dunk the paneer cubes in a bowl of lukewarm water. No need to fry them. Heat ghee or oil in a pan, add the prepared paste. Saute in medium flame for 2 minutes. Add the garam masala and salt. Now add milk and cream, cook for another 2-3 minutes stirring continuously. Now add paneer and slowly mix. Add 1/2 cup of water and cook on a medium flame till gravy thickens. Serve hot with roti or any Indian flatbread. This was a small tribute to the great chef Mrs. Tarla Dalal. This is going to be a part of Kolkata Food Blogger's Chef's Challenge event. Labels: Paneer, Side dish, Veg.